Zuluk (also spelt as Dzuluk) is a tiny village settlement at an altitude of 10,100ft. 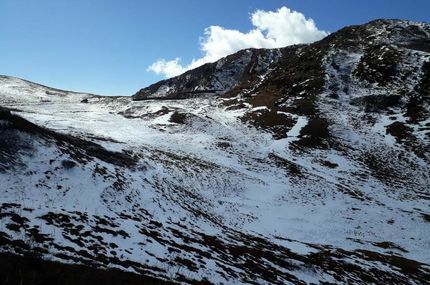 It's located in lower Himalayas of Eastern Sikkim on the historic old Silk Route which once connected India with Tibet. On the Indian side, the Silk route starts from Pedong in Kalimpong district and goes through places like Rhenock, Rongli, Zuluk and northward to Nathang valley and Kupup, and finally Jelepla Pass was used to reach beautiful Chumbi valley of Tibbet and then onward to Lhasa. Till the first half of 20th century before the Chinese invaded Tibet, this old Silk Route was used heavily to trade silk, fur and wool between Tibet and India, and hence such name of the route. But since 1962, Jelepla Pass has been closed. Now the official corridor between India and China in this area is Nathula Pass which is not far away. Zuluk is only few kilometers away from the China border and has a base of Indian army. It's a small mountain hamlet with a population of about 700 most of who are Nepali. All these people had migrated to this place in search of better living as it lied on the Silk Route. But now that the trade is gone, and the land is infertile for any farming, they mostly survive on construction of roadways. But the nature has been liberal in blessing the place with huge tourism potential. The villagers have slowly started realizing that and extending their homes to tourists as home stays. Zuluk is the transit point to visit so many other beautiful places around including all the points on the Silk Route. Zuluk by itself is only a small village with handful families. There is a small nag (king cobra) temple here with a cave like structure. For views of Kanchenjunga snow peaks, lovely lakes, passes and other wonderful mountain landscapes, you need to take day trips from Zuluk and go further north towards Kupup. 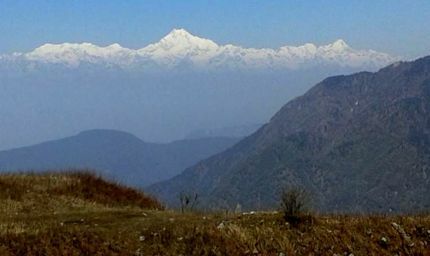 A great place for sunrise views over Kanchenjunga is Thambi Viewpoint which is about 14kms from Zuluk, at an altitude of 11,200ft and comes on the road to Lungthung (towards Kupup). There are 32 sharp hairpin bends (or zig zags) along the way which is an engineering marvel by itself. You can get the sight of this amazing zig zags on the mountain slopes from vantage points near Zuluk and also from the Thambi View Point itself. View of the peaks from Thambi as the sun rises is simply mind blowing. You can see amazing change of colors on the dazzling peaks as the sun rises from the opposite end. This nature's spectacle alone is good enough a reason to visit Zuluk. If you go further up to Lungthung (which is another 10kms away), you can actually get a better view of the entire range. This is considered the best sunrise viewpoint along the Silk Route (but you need to start earlier as it's further away from Zuluk). Further up at an altitude of 13,500ft you reach the wonderful Nathang Valley. This is where the yak herders from Tibet used to graze their yaks when the Jelepla Pass was open. This beautiful valley changes its colors in different seasons, turning to golden when the grasses dry up in autumn, to dazzling snowy white in the winter when it gets covered under thick snow, and to a blanket of colors when the flowers bloom in monsoon. You can see a long row of Buddhist prayer flags fluttering on top of a ridge here. There is also a monastery, a temple and several streams that flow through the valley. There are several traditional and modern homestays that have come up in Nathang valley offering electricity, European style toilets, hot water, and fresh homemade food (both veggie & non-veg). Further up, you can take a short diversion and visit Old Baba Mandir (a temple built in the honor of an Indian soldier Baba Harbhajan who is worshipped as a deity). 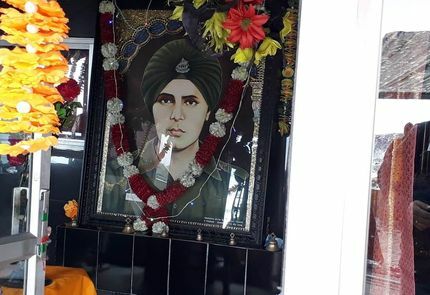 This is where the samadhi of Baba Harbhajan has been built on a bunker where he was posted while in Indian army. Although he is dead, it is strongly believed by the army personnel here that his spirit is still around and guards the Indo China border. Chinese guards have also confirmed having seen a vigilant man at night on the border. The temple is located at an altitude of 14,600ft. Although the temple and the place of worship is on the roadside, it requires climbing of several steps to reach up to the bunker. Reaching this original Baba Mandir is difficult for general tourists. Therefore a New Baba Mandir has been built near Tsomgo Lake. The view of Nathang Valley from Old Baba Mandir is simply stunning. Further along you will reach Kupup valley and the Kupup Lake at an altitude of 13,066ft. The Kupup lake has a shape of an elephant and therefore known also as Elephant Lake. From Kupup lake, other than spectacular views of Kanchenjunga peaks, you also get lovely views of Tukla Valley and even Menmecho Lake. As you drive along the rooad, you can get a glimpse of the wonderful Menmecho Lake, however you can not take your car up to the lake, there is no motorable route. There is a walking trail though (that starts near New Baba Mandir) which leads all the way to the lake. Further ahead you will reach the barren Tukla Valley. World's highest altitude golf course known as Yak Golf Course (13,025ft) is further ahead and is also located in Kupup area. This 18-hole golf course is recorded in Guinness Book of World Records. Soon after crossing Yak Golf Course, you can see the sight of Jelepla Pass which connects India with Lhasa of Tibet. The pass lies at an altitude of 14,000ft. It is now closed following the Indo China war. 'La' in Tibetan means a pass, and the word 'Jelepla' means 'Beautiful Level Pass' - indeed this pass is a wonderful pass on a level land. You can continue further along the road and even reach the New Baba Mandir, Tsomgo Lake or even Nathula Pass provided you have the required permits (permit information is given below). If you want to head to Zuluk directly from NJP railway station or Bagdogra airport, then the easiest route is to go up to Rangpo by taking National Highway 10. Rangpo is 80kms from NJP (84kms from Bagdogra) and takes about 2 hours 50 minutes drive. The highway NH10 from Rangpo continues to Gangtok. However for Zuluk, you should take another route at Rangpo which passes through places such as Rorathang, Rhenock, Lingtam, Rongli Bazar and leads all the way to Zuluk. From Bagdogra or NJP the distance to Zuluk is about 150kms via Rangpo and takes about 5 and half hours drive. You can also approach Zuluk from Kalimpong which is about 2 hours drive from NJP station or Bagdogra airport. 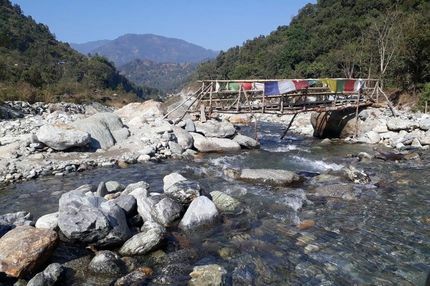 From Kalimpong you can take the route via Algarah, Pedong, Reshikhola, Aritar and then to Rongli Bazaar where it meets the previous route (58kms, takes about 2 & half hours drive) and then continue to Zuluk (another 1 & half hours drive). If you are approaching Zukul via Kalimpong, it would be a good idea to take an overnight break at Kalimpong Town or at the picturesque mountain village further ahead known as Sillery Gaon. After Rongli Bazaar when you move towards Zuluk, you will come across a roadside waterfall known as Que Khola. 'Que' in Nepali means potato and khola means a stream. There used to be a large potato plantation in this area and the villagers used to wash their potatoes under the waterfall and hence the name. The 100-feet waterfall is worth a stop. 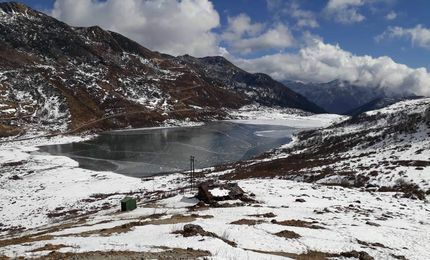 From Gangtok there is a route to Zuluk via Tsomgo Lake, New Baba Mandir, Kupup, Nathang Valley and then to Zuluk. It takes about 4 hours drive. Actually from Gangtok area it is a single continuous route (Jawaharlal Nehru Road) that goes all the way up via Tsomgo Lake, Baba Mandir, Sarathang (where the approach-way to Nathula starts) etc to Kupup and then to Nathang valley, Zuluk etc. So if you take a vehicle from Gangtok, you can go all the way to Zuluk or vice-versa. Along the way you can also visit Tsomgo Lake, New Baba Mandir and Nathula. A day trip is not advisable from either Gangtok or Kalimpong. 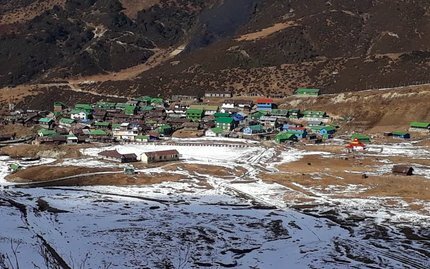 You should plan to stay overnight at Zuluk if coming via Rangpo or Kalimpong, or at Nathang Valley if coming from Gangtok, and then visit the nearby places by car on a day trip. Due to high altitude and low oxygen level, it is advisable that you acclimatize yourself on the first day to avoid breathing problems. 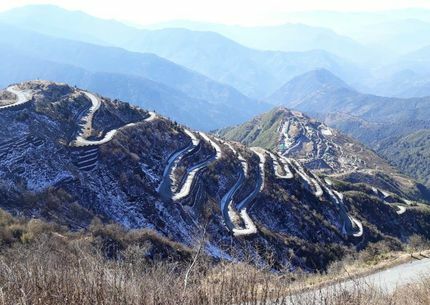 A separate Protected Area Permit is required for tourists visiting Zuluk and the Silk route (because it lies on the border area with China occupied Tibet). You need to carry passport size photos and photo ID proof (in original) to get your permit. While approaching from Gangtok, you can get this permit from Sikkim Tourism Office at Gangtok. You can get it done through any registered local tour operator in Gangtok. You should hand-over the documents to the tour operator one day in advance. NOTE: Foreigners are not allowed to visit Zuluk for border restrictions. While approaching Zuluk from Rangpo or Kalimpong, you can get the permit along the way at Rongli Bazaar at the SDPO Office (open till 2pm on weekdays, 11am on Saturdays, closed on Sundays). Ronlgi is 35kms from Rangpo. Your driver can help with the process. It usually takes about 30 minutes to get the permit, sometimes less. You should take a large vehicle like a Scorpio or a Jeep. At Rongli, you can get your permits for Tsomgo and Nathula as well. You must carry ID Proof such as Passport, Voter ID, Adhar Card etc and two passport size photos for the permit (PAN card is not accepted). For minors, you should carry the birth certificate. Permit charges at Rongli for a group of 2 to 3 persons would be around Rs. 200. There are no proper hotels in Zuluk or for that matter in the entire upper reaches of the Silk Route. Several basic homestays have come up that are run by the villagers. They offer comfortable rooms with electricity, attached toilet of European style, homemade food and lots of warm blankets. People here are not only simple, they are also very friendly and helpful. Other than Indian vegetarian dishes, they also make chicken, eggs and noodles. A nice homestay in Zuluk is Snow Lion owned by Chundu Bhutia. Although the home stay looks quite simple and basic from outside, the rooms are clean and cozy... and most importantly the rooms have western style attached bath and fitted with geysers... a rarity in this part of the hills. For booking contact: (+91) 9197201187; 7407262795. There is an excellent homestay Live Away Home at Nathang Valley... very nicely decorated and well maintained with 5 very well appointed double bedrooms (each with a Queen bed) and western style attached toilets fitted with geysers. It has a wonderful common wood paneled living room complete with traditional low seating and a fireplace. The homestay is a two-storeyed bungalow overlooking the beautiful valley. You can book this one here through Booking.com. If you are returning from Zuluk to Kalimpong, you can also plan to spend a night at Aritar and enjoy the beautiful manmade lake surrounded by trees. You can also stay at Makhim nearby. There are nice homestays with basic facilities. Zuluk experiences extreme cold climate in winter. From December onwards it starts snowing and from January onwards the roads often get blocked due to heavy snow. Temperature becomes sub-zero. And it remains under snow usually till April-end. May to July is the monsoon time when you won't get much views due to fog and cloud. However August to October is the best time to visit Zulik when the entire place gets covered with colorful wild flowers, sky remains clear and views of the mountains are wonderful. Hi, Thanks a lot for your useful articles. We plan to travel to Zuluk from Bagdogra (3 Indian Boys) by hiring a rental car from Zoomcar. Please suggest if any issue in taking this car upto Zuluk. Also confirm if any extra permit is required to take car other than PAP. 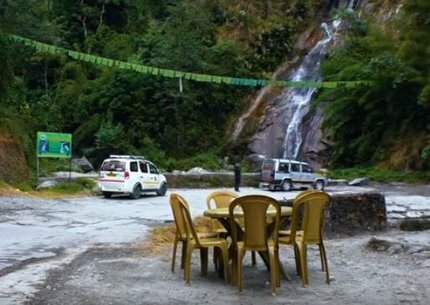 Hi, Zoomcars or any self-driven rental cars are not allowed in any protected areas of Sikkim including in Zuluk. Hi Raj, Thank you so much for all your helpful advice! My husband and I are planning a trip to Darjeeling and Sikkim in April 2017 and I'm struggling to find info on Sikkim. We are from South Africa and from what I can tell we are limited by where we can travel to in Sikkim. We'd love to travel the Sikkim Silk Route but I can't seem to find out if this would be possible as a foreigner? Are you able to provide some advice? Also, would you recommend that we organise a tour through a recommend travel operator in Sikkim? I hope to hear from you! Kind regards. Hi, Silk Route can be approached either via Rangpo, Pedong (Kalimpong), or Gangtok/Nathula. Foreigners are unfortunately not allowed on that route being close to Tibet/China border. Yes, you should organize your tours in Sikkim through a Sikkim govt. registered tour operator. Dear Mr.Raj, I am a Malaysian and am travelling with a group of 20 friends, most of whom are Seniors ( 60+). I would like to visit Zuluk as part of my 9 day tour of Kolkata, Gangtok, Kalimpong & Darjeeling. As we would like very much to experience snowfall, I included Zuluk in my itinerary. I have been informed that being foreigners, we will not be allowed to gain access to Zuluk even with the Restricted Area Permit (RAP) or Inner Line Permit (ILP). Is this true? We are due to travel between 18th Feb 2017 till 27th Feb 2017. I feel that the journey is not worth it without a visit to Zuluk. Please advise as I am being given conflicting views on Zuluk. Another point of clarification - Are the dates chosen in Feb 2017 ideal without much fog? Hello, Zuluk requires a special permit and not the usual Restricted Area Permit (interchangeably called Inner Line Permit). 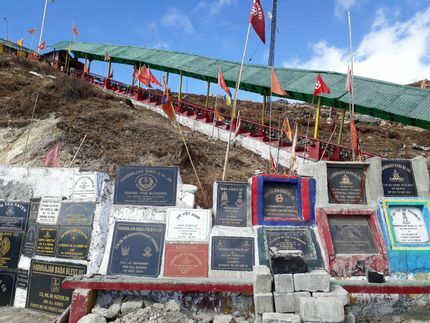 Being part of east Sikkim and close to the border of Tibet (which is part of China), foreigners are not given permission to visit Zuluk just like Nathula Pass. In any case around February the route to Zuluk is likely to be closed due to heavy snow. February is otherwise okay for other places (will be very cold though), there could be fog at times but you should also get enough clear sky.